Sawasdee Khrub! My name is Rex. 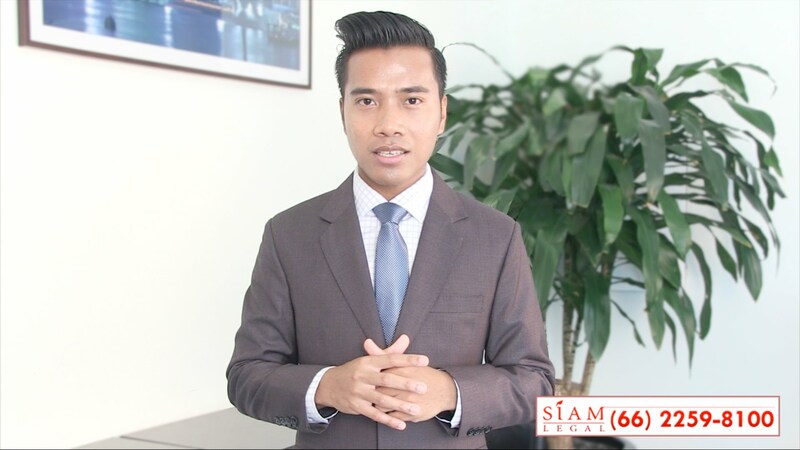 I am your Thai visa consultant from Siam Legal International. In this video, I’m going to talk about the Thai Marriage Visa. The Thai Marriage Visa or 1-year Extension of Stay Based on Marriage is a type of visa which is issued to a foreigner who is married to a Thai national. This visa does not require the holder to leave Thailand within the one-year period, although reporting at the immigration office every 90 days is necessary. Holders of this visa are also allowed to work in Thailand once they have obtained a valid Thai Work Permit to go along with this visa. The applicant must be legally married to a Thai national. This is substantiated through a Marriage Certificate. A monthly income of at least 40,000 THB; an affidavit from the applicant’s embassy must be obtained to verify this income. To confirm that the money in your Thai bank account has been deposited for not less than 2 months, an updated bank book and a letter from the bank must be provided during the marriage visa application. The Thai Marriage Visa application is fairly simple and can be summarized in a three-part process. For the first part, we will help you obtain a 90-day Non-immigrant Visa from the Thai Embassy in your home country or a neighboring country of Thailand. This process may take about 5 to 10 business days. Remember that this part takes place before your travel to the Kingdom. When you arrive in Thailand, first thing that we will do is to help you open your personal Thai bank account. We will assist you, later on, in obtaining the letter from the bank as proof of your security deposit. We may also be able to help you get an affidavit from your embassy in Bangkok as proof of your income if you will be using the pension or income option. Lastly, we will schedule an appointment with the immigration office 30 days before the expiry of your initial 90-day visa for the conversion of your visa to the Thai Marriage Visa.